MailScan for Merak is a powerful Real-Time Anti-Virus and Anti-Spam solution for Merak Mail Server that acts like a Content Security and Anti-Virus Software for your Corporate Merak. This server is published by IceWrap Software. MailScan for Merak transparently works on both SMTP and POP3 traffic. It analyzes e-mails on real time basis before they are delivered to your clients or servers. Technically a new layer, the MicroWorld Winsock Layer (MWL) is introduced between the default WinSock2 and the applications. This layer analyzes traffic that flows between Merak and the Internet or your applications. 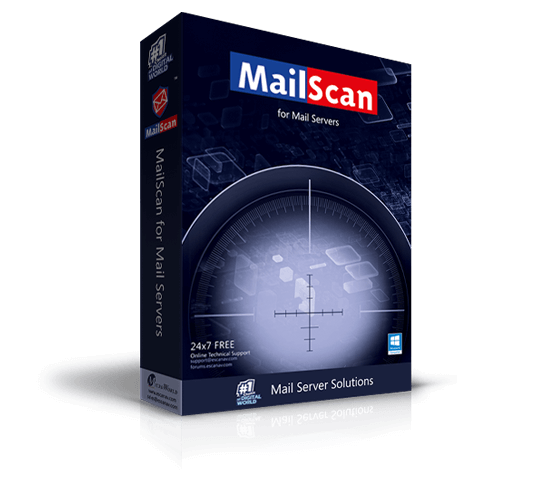 MailScan uses eScan Content Security and Anti-Virus features to scan all e-mails. Incoming and outgoing emails are scanned and cleaned of viruses and the contents checked, before your actual email server processes them. • Flow between all the local users. • Go from your Merak to the Internet. • That come into your Merak from the Internet (either via SMTP or POP3). All MailScan processes are multi-threaded. This ensures that all e-mails are parallely processed. All types of attachments are handled by MailScan, including MIME and UUEncoded. Other types supported are: RFC822 attachments, embedded emails, Multipart-Mixed and Multipart-Digest types. No port settings or changes need to be done inside Merak. Dedicated gateway machine not needed to use MailScan. MailScan works along with Merak on the same machine. SMTP servers, Microsoft Exchange 2003 / 2007 / 2010 / 2013 / 2016, Lotus Domino, Mail Servers, CommuniGate Pro, MDaemon, VPOP3, Mailtraq, Mailtraq Lite, DMail/SurgeMail, Postmaster Pro, Postmaster Enterprise, Merak, Avirt, Sharemail, Netnow, SpearMail, VOPMail, CMail, GiftMail, MailMax, IAMS, LAN-Projekt, Winroute, WinProxy, 1st Up Mail Server and Mail Servers.